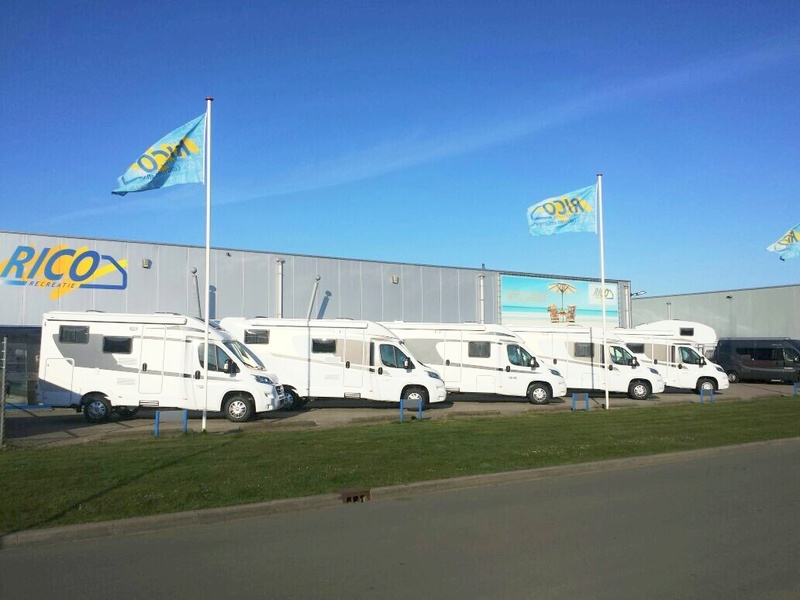 Packages & Additional Options | Bij caravanencamperhuren.nl makkelijk en voordelig caravan of camper huren. Dat kan bij ons al vanaf 35,- euro per dag! Verhuur per dag mogelijk! Boek direct online. Voor het ultieme vakantiegevoel. To make your trip more comfortable and enjoyable, you can choose from the following complete packages. Carefree holiday? You can rent our extensive 4-person tableware for only €35, - per rental period. With this very complete package you can be sure that you have everything at hand. For your comfort on the road and on the campsite! Grab the table and chairs and enjoy the beautiful surroundings. With this luxurious set, for only €45, -, you can enjoy your breakfast in the sun and admire the view. 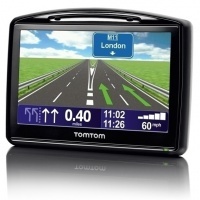 With this special navigation system for large vehicles you have the steering wheel of your motorhome securely in your hands. You don't have to worry about bridges, viaducts or other highway restrictions. The data of the motorhome are entered in the navigation and the system calculates the most efficient and safest route to your destination. As soon as you arrive within a 1 kilometre radius of your destination, you will see a list of parking places. So, you never have to look for a motorhome pitch. Also, the navigation indicates the maximum speed you are allowed to drive. Optimal convenience! To make your holiday even more enjoyable, you can book several options. For example, rent the ACSI camper sites guide to find the most beautiful camper pitches on your holiday destination or rent a bedding set to start your holiday with ease. You can select and book the extra options directly during your (online) booking. To make your holiday even more enjoyable, you can book several options. Do you want to bring your own bikes on holiday? No problem! 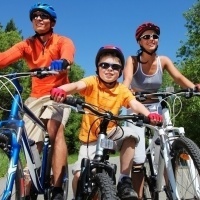 Rent a bike carrier and enjoy your beautiful holiday environment on your own bikes. The ACSI Camping Guide Europe can be booked to find the most beautiful campsites on your holiday destination. You can select and book the extra options directly during your (online) booking. For your comfort on the go . Pick up the table and chairs and enjoy the unspoiled nature . 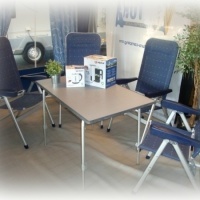 This deluxe set includes four comfortable chairs and a decent camping table . For convenience on the move. O n the site you can rent this set for only € 45 , - per period . Carefree holidays ? You can rent our extensive 4 -person cutlery set for just € 35 , - per period . 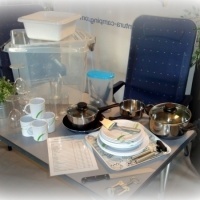 This very comprehensive package is fully equipped; including plates, mugs , (wine) glasses, cutlery , pans, etc. .
You can make your caravan holidays more enjoyable by optionally rent the following accessories. You can select and reserve the accessories during your (online) reservation.